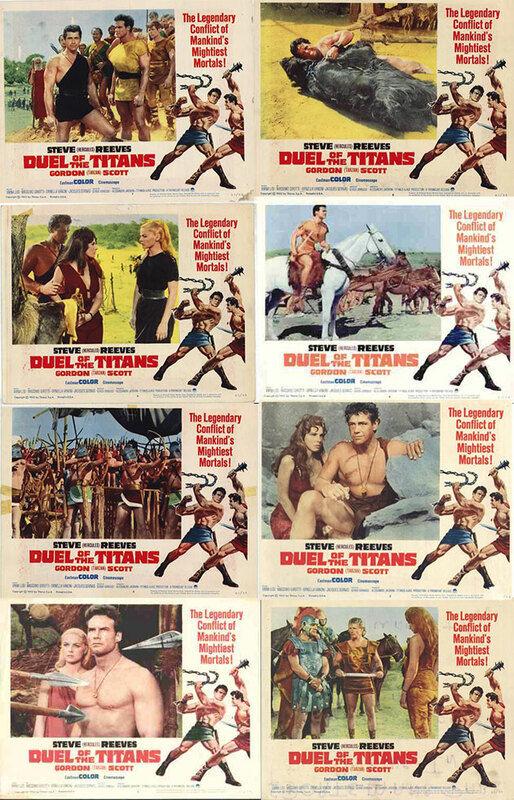 Sorta disappointing lobby card set for DUEL OF THE TITANS (1961). There are many great scenes missing from this set. The spinning torture thingy; the horse run with the fiery obstacles; the wild pagan ceremony at the beginning, etc. This lobby card set is sorta flat. At least it has one card with a barechested Steve.